Raw Cinnamon: Is It A Health Food? Since then it has become a staple of many recipes, used for incense, and as part of food pickling and corpse mummification. Raw Cinnamon: Can It Improve Your Health? Those who suggest that cinnamon can heal the body make a mistake. Only the body can heal itself. Medicine, whether it be a spice or the newest drug, can poison or stimulate the body and cause it to stop producing a symptom, but it cannot heal. Only the body can heal itself. The best foods are the ones that are easy to digest, full of nutrients, bring a minimal toxic load. An examination of cinnamon shows that is is an irritating substance like many other condiments touted by raw foodists, such as salt. 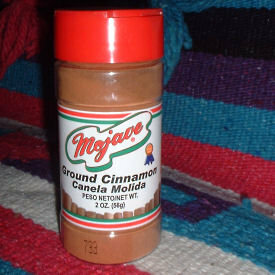 Because different types of cinnamon contain varying amounts of the toxic compound coumarin, which can cause liver and kidney damage, cinnamon can be considered mildly dangerous. One teaspoon of cinnamon powder contains 5.8 to 12.1 mg of courmarin, which is considered above the tolerable daily intake for smaller individuals (1). Raw Cinnamon: If It Can Kill Mosquitos, Bacteria, and Drive Away Cats and Dogs, What Will It Do To You? Cinnamaldehyde, which makes up about 90 percent of the oil of cinnamon bark, produces cinnamon's distinctive flavor and smell. It has long been known for its ability to kill and repel a large number of animals and insects, and so has been used as a pesticide. Dogs and cats won't go near the stuff, for instance, and, many types of bacteria - harmful and helpful - cannot survive in its presence (2). Do you really want to consume something that's harmful to many living organisms? Scientists studying its use as part of Big Red chewing gum found that it kills bacteria in the mouth. Those chewing the gum for 20 minutes had their concentration of anaerobic bacteria in the saliva reduced by 50 percent, and their concentrations of anaerobic bacteria on the tongue reduced by 43 percent (3). Now this is inevitably touted as a benefit by the chewing gum reps, but bacteria play many critical roles in our bodies and in the web of life as a whole, and its slapdash destruction can hardly be called universally beneficial. At best we are tampering with something we don't fully understand. Cinnamaldehyde also has the ability kill mosquito larvae (4), with many noting the possibility of its ability to kill many other small life forms. Raw cinnamon is also among the many spices that contain tannins (5), the astringent, mouth-puckeringly-bitter plant compounds that bind or shrink proteins and various other organic compounds, including amino acids and alkaloids. Tannins are what cause the dry, strange feeling in your mouth when you eat unripe fruit, especially unripe persimmons. Intake of tannin-containing foods is generally recognized as being harmful and has been linked to increased risk of cancer, among other problems (6). Plants produce tannins to deter predators, and many animals who eat tannin-containing foods fall ill or die (7), although some have evolved with the ability to handle large amounts, such as squirrels and mule deer. A great many creatures steer clear of cinnamon because they know it won't do them any favors. You won't have to worry that fruit, the mainstay of a healthy raw food diet, will kill off the bacteria in your mouth or put an excessive strain on your liver and kidneys. Those who insist on eating subpar foods have to contend with the fact that they often contain natural pesticides designed to deter predators, like them. Apples don't fight back because the apple tree creates them so creatures will take them and spread the seeds, a symbiotic relationship. The cinnamon tree doesn't want to have its trunk damaged, however, and tries to harm the creatures that consume it to the greatest extent possible through chemical retaliation. Cinnamon is unlikely to kill you, but why eat a food that isn't doing you any favors? Was this info on raw cinnamon helpful? Learn what foods can be healthfully included in a raw food diet here. Get the skinny on several types of unhealthy but popular diets. (2) "Cinnamaldehyde Use". PAN Pesticides Database. http://www.pesticideinfo.org/Detail_ChemUse.jsp?Rec_Id=PC33596. (3) "Popular Chewing Gum Eliminates Bacteria That Cause Bad Breath". Science Daily. http://www.sciencedaily.com/releases/2004/04/040401080031.htm. (6) Elvin-Lewis, Memory P. F.; Lewis, Walter Hepworth (1977). Medical botany: plants affecting man's health. New York: Wiley. ISBN 0-471-53320-3. (7) Katie E. Ferrell; Thorington, Richard W. (2006). Squirrels: the animal answer guide. Baltimore: Johns Hopkins University Press. p. 91. ISBN 0-8018-8402-0.